In our article 10 Top Co-Parenting Tips: Low-Conflict Divorce & Custody Tips, we covered some best practices when the post-divorce relationship between the parents is low-conflict. For parents who are cooperative and child-focused, there are suggestions about how to keep the kids engaged and also prevent situations which could lead to higher levels of conflict. Don’t get along well at all. React aggressively to one or the other (or both) and may even be provocative. Being in the company of the other, even for short periods of time, creates discomfort and angst. They may have restraining orders in place against one, the other, or both. They do not cooperate in major parenting areas. They may not even cooperate in minor parenting areas. No matter the root-cause of the conflicts, their inability to separate parental roles from the previous marital conflict is the likely most significant contributing factor after the divorce. How a child’s parents act/react in the aftermath of the demise of the relationship is the critical indicator of how the child adjusts to the significant life change. 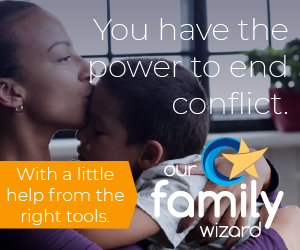 It only takes one parent’s efforts to minimize conflict to produce positive results for the children. If both ultimately can achieve that level of peace – even better. The justifications for the parallel parenting approach are many. The most obvious being to reduce opportunities for conflict. Children have a right not be placed in the middle of their parent’s disagreements. Parents have an obligation to see to it that this doesn’t happen. Parents and children alike are entitled to have a meaningful, loving relationship with one another absent interference from a high-conflict parent. In order to reduce the likelihood of negative short- and long-term outcomes for the children, a parallel parenting plan should be implemented as an aid in reducing the stress, anxiety, and destructive results of ongoing conflict between the parents. When you create a plan the limits the opportunities for the warring parties to interact with one another, everyone is the better for it. A Basic, Parallel Parenting “Code of Conduct” will contain one or more of the following provisions or considerations. The list is not all-inclusive, so remain open-minded and always be considering other areas where the parallel approach would be beneficial. The custody agreement is extremely detailed, contains no ambiguous of vague language, and leaves nothing to assumption. Child exchanges are done independently of one another (for instance, on exchange day, one parent drops the child off at school, the other picks the child up from school). If this is not achievable, the custody exchanges are done at a neutral site that is highly public to discourage outbursts or inappropriate behavior. With exception of emergency situations, all communication is done in writing. With regard to the prior tip, communications are done without emotional, hostile, or controlling language. Communications are polite, even business like. Use the fewest words possible and discuss only relevant matters pertaining to the children. Avoid phone or face-to-face discussion at all costs. There is no idle chatter or discussions about anything beyond matters pertaining to the children. When communicating or even negotiating – always use a third-party assistant (for instance, a parenting coordinator or mediator). Resist the urge to control or judge how the other parent parents. You do your job with your custody time, the other parent does the same with theirs. Avoid deviating from the parenting schedule for any reason other than an emergency. You are to operate without flexibility. Clear rules and strict boundaries help keep the conflict low. Parallel parenting works because the goal is to minimize the interaction of the two conflicting parents. The parenting schedule and overall custody agreement/order contains enough direction and detail to aid in keeping the conflict low. It’s about staying focused on the children. While the concept of parallel parenting has been around for a while, it’s only just beginning to made inroads into the family court vernacular. It is still sometimes viewed as uncooperative and “cold.” Remember that if discussion should arise in family court regarding the parallel parenting approach, don’t speak about the other parent and how much trouble they cause and how awful they are. Present it positively as not uncooperative and cold, but instead serves to keep both parents focused on the children and out of each other’s way. By taking steps to minimize conflict, you’re helping to prevent everyone from troublemaking.